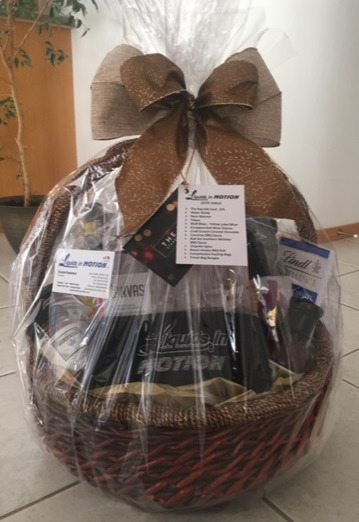 Community Support - Liquids in Motion Ltd.
Daryl King Memorial Award for Automotives – Leduc Composite High School - Presented in memory of Daryl King, a LCHS student who was taken from us much too soon in a school related automotive accident. He was good friends with the owner of Liquids in Motion (LIM) and his father, Thomas King, was a former safety officer with the company. Through this award, we also wish to honor the memory of David Fandrick, former LIM Shop Manager, brother and son. Also taken from us much too soon, David had a passion for mechanics and an ability to ‘MacGyver’ almost anything. The memory of Daryl and David and their love of mechanics lives on through this award. 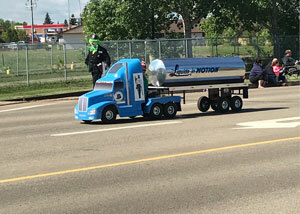 Al Shamal Shriners Edmonton Chapter – sponsorship including parade participation of mini-trucks and tankers in eight parades throughout Alberta. Firefly Acoustic Musical Festival – a benefit festival held in memory of Michael Gauthier to raise money and awareness for thyroid cancer. Edmonton Toy Run – a motorcycle event which has become the unofficial kick-off to Santa’s Anonymous’ Christmas Campaign to provide a brighter Christmas for children who may not otherwise receive a visit from Santa. 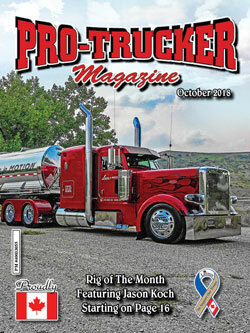 In addition to company participation, LIM wishes to acknowledge Owner Operator Jason Koch who has received the honor of having his truck selected for the October 2018 edition of Pro-Trucking Magazine.